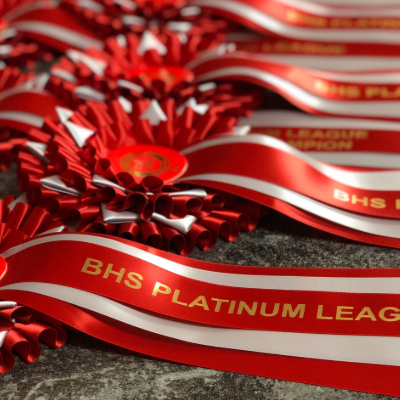 Today we're delighted to give you sneaky peak of the gorgeous rosettes that will be heading to the top ten riders in the league! Congratulations to the league champion, Mary Broadfoot, who wins a VIP day at the Royal International Horse Show; Tracey Surrey, who bags a year's Gold membership and Sharon Cooknell, who has £40 to spend in the BHS book shop. Full results of the league are here. In total 115 riders registered their details to take part in the league. The BHS is the largest and most influential equestrian charity in the UK and has made a real impact on the lives of horses and horse owners. Campaigns and initiatives, such as Dead or Dead Slow and Paths for Communities help to educate and inform not just us horse owners, but motorists and communities too.